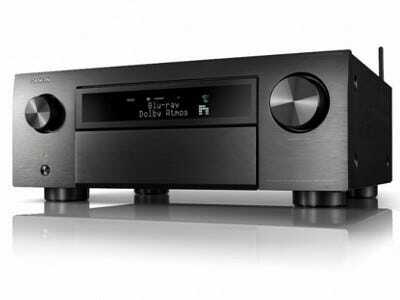 WHAT HI-FI Awards 2018 Winner - "Best home cinema amplifier over £1500"
Powerful 11-channel Amplifier with the Latest Home Cinema Specs. Featuring a sophisticated power amplifier design, the AVCX6500H delivers high-power performance at 205 watts per channel (6 Ohms, 1kHz, 1%, 1ch Drive). Low impedance drivers provide operational stability for a wide range of speakers and create balanced, tonal sound. 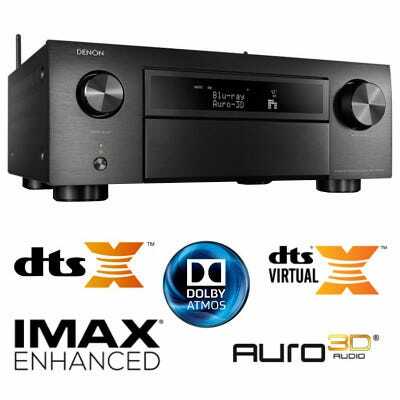 The AVC-X6500H features multi-dimensional sound formats Dolby Atmos, DTS:X, DTS Virtual:X and Auro-3D, plus an HDMI section with HDCP 2.2 support and advanced video processing with 4K scaling for HDMI sources and two 12V trigger outputs to connect external devices. There's also an Auto Eco mode that adjusts the maximum power available according to the volume level as well as an on-screen Eco meter that lets you see the power consumption reduction in real time. Get the most premium at-home entertainment experience with IMAX Enhanced - the latest technology program from IMAX that sets a new standard for image, sound, scale and content quality. 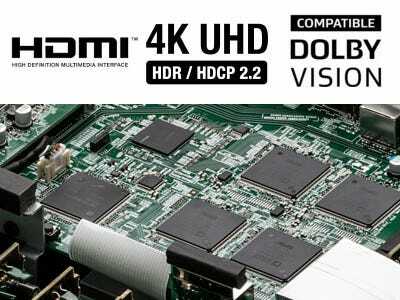 Watch clearer pictures and brighter images. Feel immersive, heart-pounding audio delivered by DTS. See more picture on the largest screens. And experience premium content digitally remastered by IMAX. 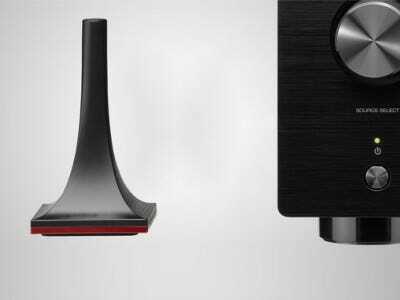 Auro-3D® elevates the home theatre experience to amazing new levels by delivering the excitement of multi-dimensional sound for music, games, broadcast, and films while enhancing your existing audio-visual collection, thanks to Auromatic up-mixing engine. Enjoy your favourite music in any room of your home wirelessly with built-in HEOS technology. Play the same song in every room, or select a different song for each connected room - the choice is yours. Also works with Amazon Alexa providing cutting-edge voice control and incredible sound for all of your home entertainment - or control it all with the free HEOS app. 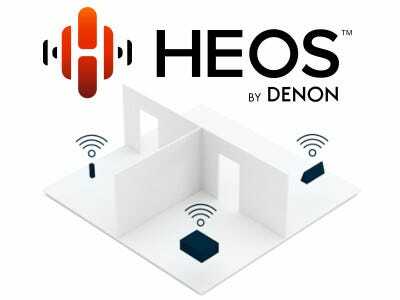 Stream music stored on your home network - connect to HEOS wireless speakers or even other HEOS-enabled receivers and listen throughout the whole house. Enjoy music from TuneIn, Internet Radio, Spotify®, Soundcloud®, Tidal, or Deezer. Use your voice to stream your favourite music services to this HEOS-enabled device. Ask Alexa to play music from Amazon Music, Spotify, and more. You can also turn the volume up or down, pause, mute and play the next song - all with your voice. Ask your Google Home, Google app or other devices with Google Assistant built-in to control content across your listening environment. Start music in the HEOS app, then ask your Google Assistant to control volume, play, pause, skip tracks and more. 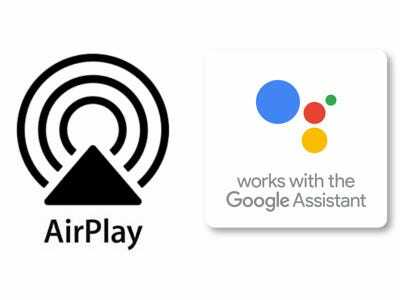 'Works with the Google Assistant' feature is always improving - further enhancements arrive in 2019. The AVC-X6500H features the most advanced Audyssey MultEQ XT32 room acoustic measurement system including Audyssey Dynamic Volume, Dynamic EQ, LFC and SubEQ HT. Through these technologies, and with the supplied microphone, it exactly analyses each speaker's output to optimise the overall listening experience. With the additional Audyssey MultEQ Editor App (available for purchase), very advanced users can even go further "under the hood" if desired. The AVR-X6500H is equipped with a range of features to provide enhanced control capabilities and compatibility with 3rd party and custom integration solutions including Crestron Connected.